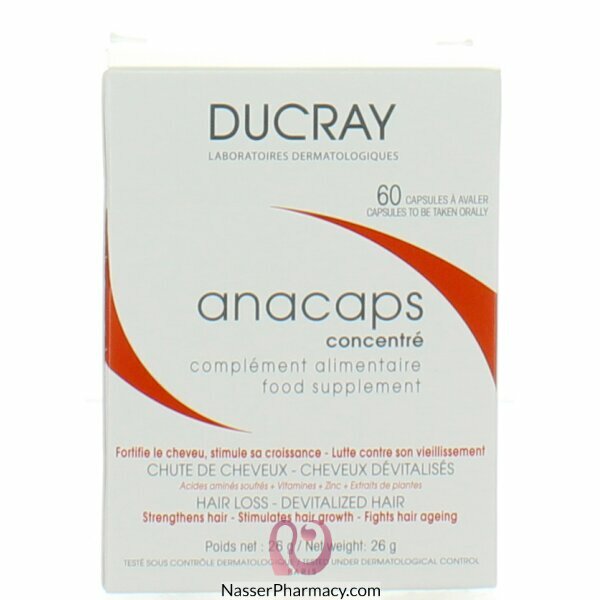 original formula, Ducray Anacaps Tri-Activ brings to the hair bulb and the nail matrix the essential nutrients to find their original strength and vitality. - The intake of cystine and methionine *, increases the resistance of hair and nails and support their growth. - The vitamin complex activates the cellular metabolism of hair and reinforces its structure. - The extracts of soya (GMO free) stimulate hair growth (direct action at the level of the hair follicle) and preserve them from premature ageing (anti-radicals action). Take 1 capsule internally in the morning with a large glass of water. 3 months treatment advised.